Adding highlights to your crown hair can give an amazing look and it is also one of the most popularly worn hairstyles among most of the celebrities. It is important to select the best color for using it over the crown area over your head to make it look attractive. By following these steps you can achieve this great look on your hair. First purchase the highlighting kit that you want to apply it over hair strands near your crown and mix it by following the instructions mentioned over the kit. To purchase the right highlighting kit, try to consult a hair specialist. Then cover your shoulder with a cloth to prevent the color from falling over your dress. Next comb your hair to make it smooth and wear hand gloves available in the kit. Take a small sections of hair which must be 1/4 inch width to highlight in the most simple way and to achieve more chunky look, try to take one inch thick hair section. 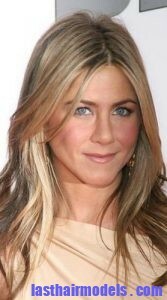 You must apply the highlights over your hair from back of the head and move towards the front. Also apply the highlights from the hair toots and move towards the ends. Use the highlights only over random sections in your hair and leave it on for the time mentioned over the kit which will be mostly one hour. Then rinse the entire hair as usual and you can style it as per your wish.